A bitter-sweet comedy drama set in early 1950s Australia. Tilly, a beautiful and talented misfit, after many years working as a dressmaker in exclusive Parisian fashion houses, returns home to the tiny middle-of-nowhere town of Dungatar, to right the wrongs of the past. This is a beautifully paced film that has everything. A great Australian film. Winner of five AACTA awards. 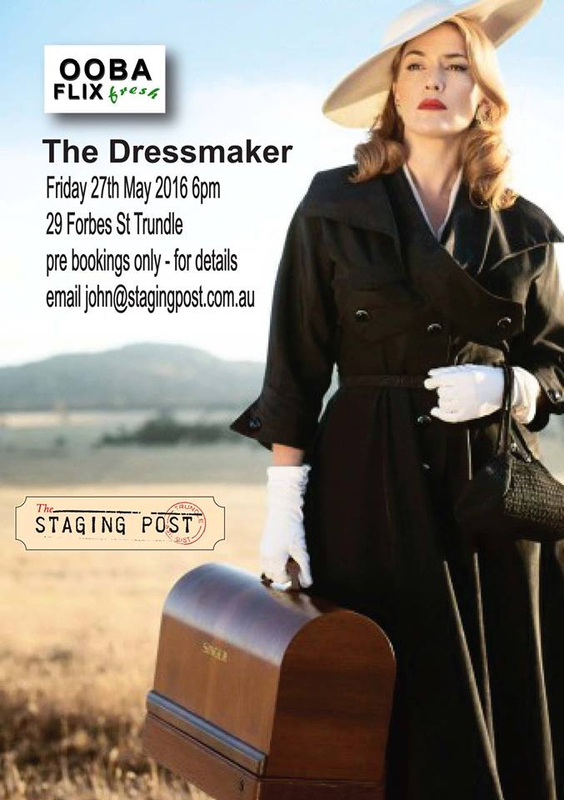 Screening at the Staging Post, 29 Forbes Street Trundle, at 10:00am on Friday 1st July where it’s toasty warm! Tickets $12. Use the contact form for tickets.